The Studio Magazine is generally known as just the Studio. It is a French publication that deals with a majority of ideas that revolve around the complex art of cinema and film photography. This was founded in 1987 and launched its internet site on its twentieth anniversary in 2007. This magazine basically publishes information about the film industry and targets an audience that is clearly marked in its appreciation for cinema. This is a monthly magazine that bases itself on a certain theme, actor or movie that will be showcased recently or is being currently filmed. The Studio Magazine is a very well known tract that has inspired many to act and direct. The magazine takes into consideration and explores every facet of film making. These can range from shooting and casting to direction and editing. Costumes and make up take up a big chunk of these pages and these in it make this monthly a huge hit amongst youngsters and adults alike. 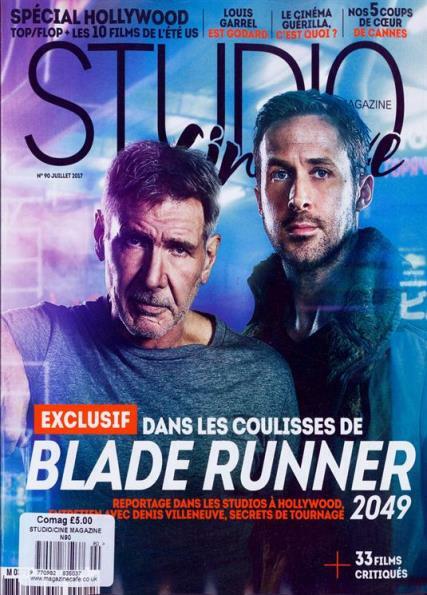 The Studio Magazine is a big one to showcase new and old talent that has blown people away with their brilliant performances in the field and genre of their choice. The talent in the industry is well exploited by French cinema and its popular name is taken to newer heights with reviews and interviews of critics and appreciators. Film as art has been enhanced in its pages and if you consider yourself a true lover of film. This one is for you. Grab it from the newsstands now or you could also avail subscriptions, which could save you a handful of money.